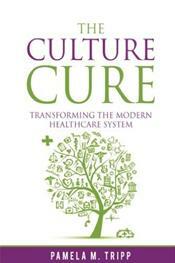 The Culture Cure delivers the essential DNA required to break free of the status quo environment that continues to dominate the American healthcare industry. It begins with the understanding of fundamental organizational core values that lay the foundation for excellence in culture, quality, finance, and governance, known as the trees of transcendence. The Culture Cure is the medicine that can ultimately elevate the standing of the United States' healthcare system ranking among top healthcare systems, no longer trailing behind other developed countries in world. This book provides the reader with nine foundational values that transform a healthcare organization, outfitting it to succeed in the modern environment of high accountability and value-based medicine. Plagued by traditional leadership paradigms, the healthcare industry continues to deliver status quo results. Transformational thinking must dominate by embracing the values that have been vetted over 25 years in healthcare settings that are described in The Culture Cure. Transformational cultures deliver excellence, innovation, and best practices that are not afraid to own, manage, create, and develop high reliable organizations of transcendence. Delivering a systemic and collegial leadership approach to continuous improvement breathes new life into healthcare to address the chronic pain associated with underperformance. With the heated debate over America's healthcare reform and recent crises in our government-run healthcare system, transformation has become imperative. Transformation is never simple, particularly in an industry that has been described by many leadership experts as one of the most complex industries to lead. There is a public call for healthcare leaders to initiate wide-scale transformation from our traditional healthcare culture into one that innovates to meet today's challenges. The availability of evidence-based information mandates industry transformation. But for most leaders the question still remains, how? How do we transition from our traditional environment to create a foundational culture that will proactively sustain the winds of change, and create a high reliable organization? To begin this journey it requires acknowledging the most important asset in any healthcare entity, which is the employees. Developing the best colleagues, the best leaders, and the best culture leads to achieving an environment of sustainable success. The Culture Cure is about placing the oxygen mask on the employees, before securing it on the patient. Employees can not give what they do not have. Quality of care, financial sustainability, and healthcare excellence will follow when employees function in a culture that fosters personal development, positive influence, and a trusting empowerment. Author Pamela M. Tripp, has lived her passion for healthcare excellence over the past 35 years, serving as a healthcare educator, senior leader, and turnaround Chief Executive Officer. Implementing the tenets of The Culture Cure has secured national and international service excellence and quality of care awards and most recently the distinction of being the first federally qualified community health center system in the nation to receive the First Milestone Malcolm Baldrige: Governors Quest for Excellence recognition.